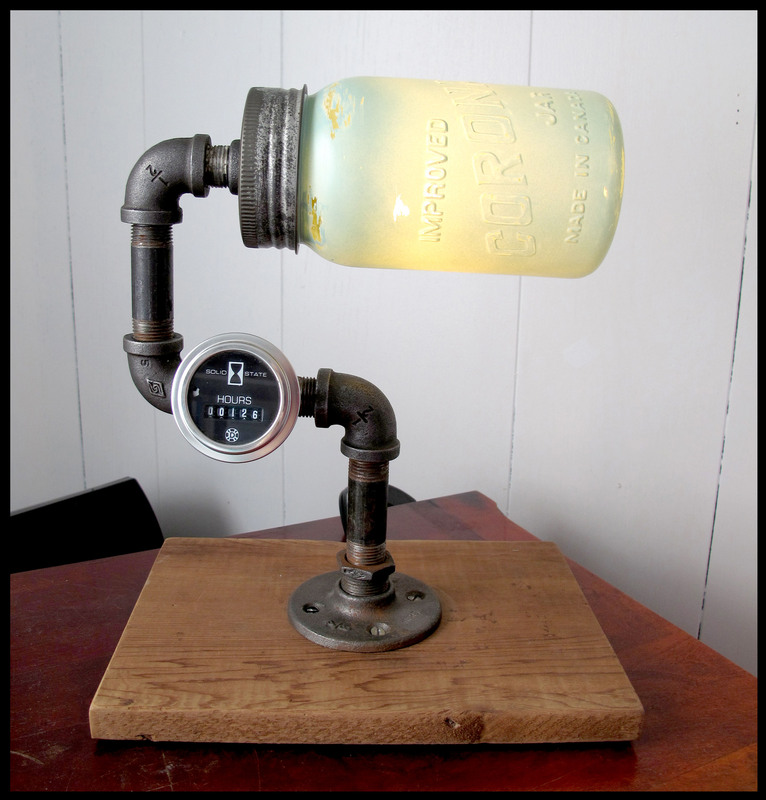 Vintage finds, salvaged furniture, custom designs. Exciting news, we’ve been awarded First Runner Up for Now Magazines Readers’ Choice for Best Design Firm in Toronto! And we’re in good company too… The Arts Market also shares First Runner Up for Best Unique Gift Store. Gorgeous 3″ thick black walnut live edge coffee table. Great character with some interesting spalted areas in the middle, and amazing colouring in wood grain. Paired with the steel hairpin legs, this table is very versatile with its style and would look great in either a modern setting or with vintage/reclaimed decor. Stunning black walnut wood, carved into a beautiful rounded live edge coffee table. The bark on the edges give it a unique touch, and the grain on this slab is gorgeous with its rich colouring. Paired with 4 hairpin legs, which gives this table a nod to mid century modern, while still being a bit rustic too. This incredible 2″ thick live edge cherry wood has been transformed into a stunning coffee table. The stingray like shape has a great organic feel that is paired nicely with the steel hairpin legs. 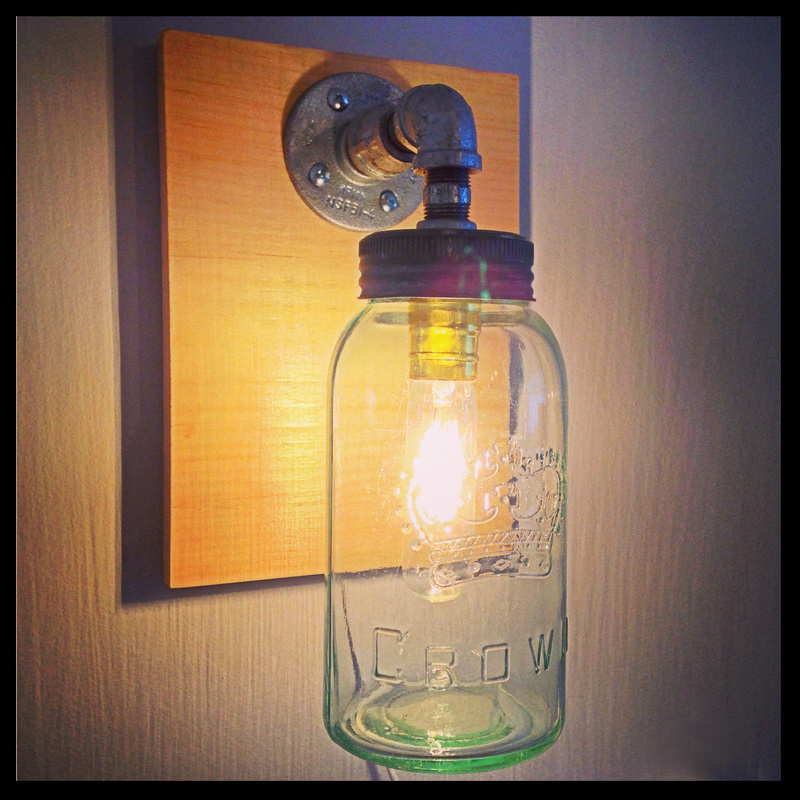 A rustic yet modern piece that is one of a kind! A great slab of Canadian maple wood with spalted detail and nice colouring. Finished off with steel hairpin legs, giving it that Modern yet industrial feel. This cool slab of live edge spalted maple wood has been repurposed and finished into an industrial inspired table. The fantastic detail in the spalted wood grain and the matte black pipe are a sweet contrast. A solid piece with lots of uses; great as console table, hall table or as a bar. Furniture should be functional and inviting. It should tell a story, spark conversation, and should definitely be something that can stand the test of time and be passed down to generations. I love to rework pieces and bring back their functionality. The ideal restoration job for me, is one where the patina is preserved and the piece is protected for years of enjoyment. 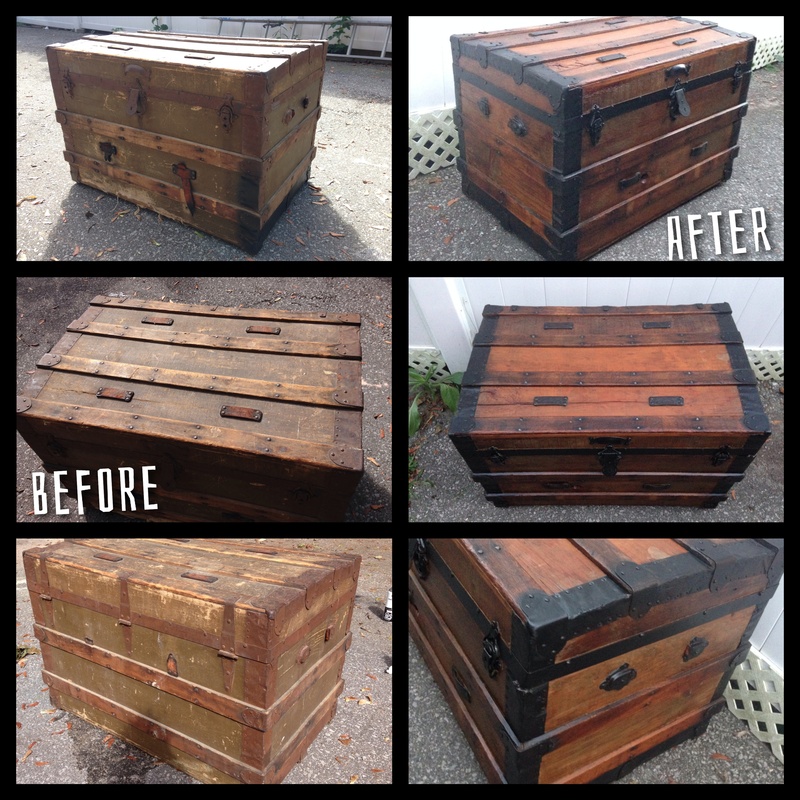 It’s that rustic approach to restoration and repurposing that really gets my creative juices flowing. It’s not about sanding the antique wood down to the bare bones and making it brand new, its about breathing new life into a piece and letting its flaws or marks show history and be points of enjoyment. My reclaimed and repurposed pieces always tend to fall somewhere in between a masculine and feminine genre. 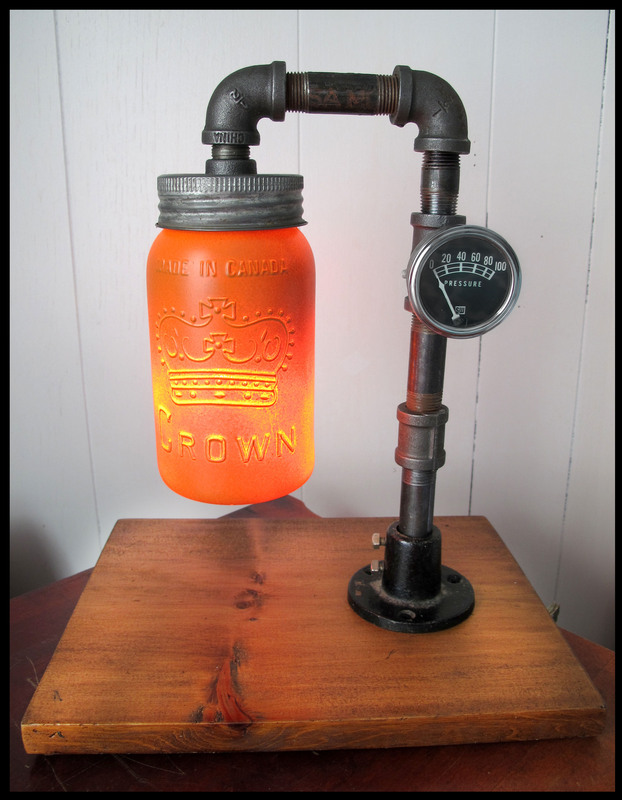 For example, pairing cold cast iron piping with soft painted mason jars, my pipe lighting designs are great for any space. 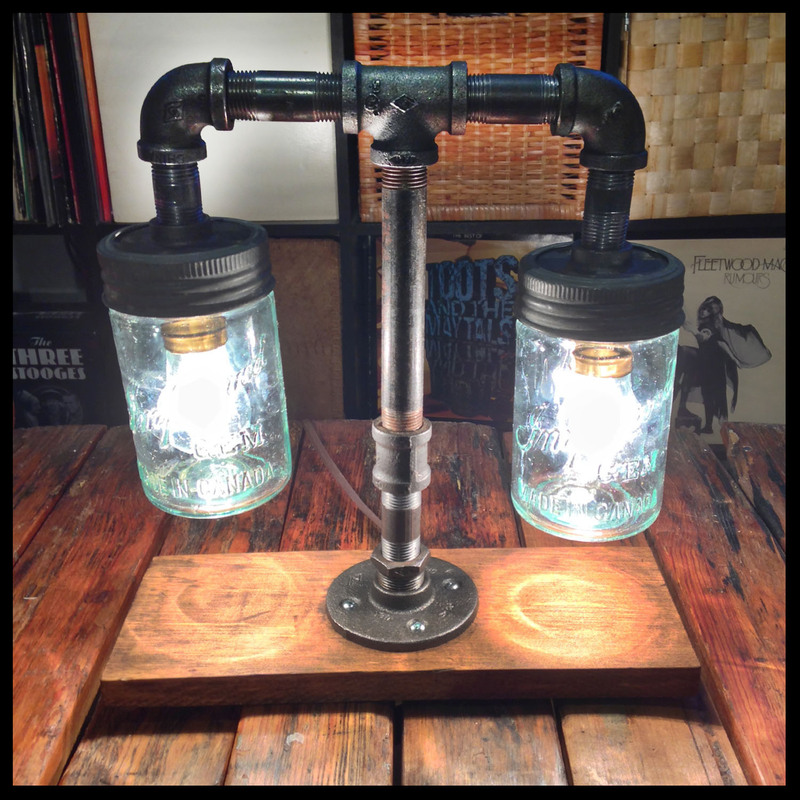 The vintage industrial style makes them a lighting statement rather than just a standard lamp. It’s that yin & yang that I also bring to my furniture design, interior decorating and custom work too. I am always pairing clean lines and versatility with rustic influences. If you are looking for a specific something, have an idea in mind, need a piece reworked or have one you want to part with, give me a shout! 790 Queen St. E, Toronto, ON.